Welcome to The #oldTinHut and your journey here at ProKick. We hope you have enjoyed your first taste of Kickboxing. 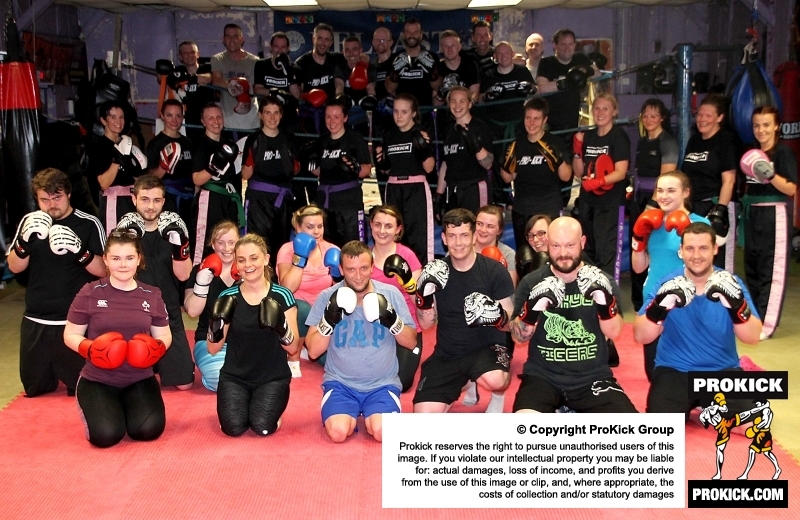 Here's our latest group of ProKick Kickboxers who finish a #6weeks #beginners course at the #ProKickGym in #Belfast . #Congratulations to the latest #prokickTeam of high #kicking #beginners for completing 6 weeks at #Belfast 's premier #martialArts #kickboxingGym #ProKick in #eastBelfast Tuesday 13th June 2017. To sign up for the next level and another 6 weeks of kickboxing - it couldn’t be easier (CLICK HERE >>)advanced beginners 6 week coursewhich moves the beginner up a level and it all continues this Monday 19TH June 2017 @ 7.30pm. This course will guarantee you eligibility to apply for your yellow belt (the first grade on the kickboxing ladder of excellence). This course doesn't run in 5 week intervals you will stay here until you grade. Don't forget to give us a like on social media.